Mahila Arogya Vikas and Vikasa Tarangini of Vijayawada and Vizianagaram conducted training camp in Vizianagaram on 10/04/15. Smt. Sakunthala garu organized the camp. The Vikasa Tarangini of 3 districts Srikakulam, Vizianagaram and Visakapatnam participated in the training camp. Yoga master of Rajam encouraged the yoga students to participate in the service which is appreciable. All the explanation of sterilization and screening test process was explained deeply to the members by Bharathi garu. The benefits of colposcope were also explained. A new branch with the leadership of Lavanya garu was also formed to give there service to Rajam women which is awesome job. 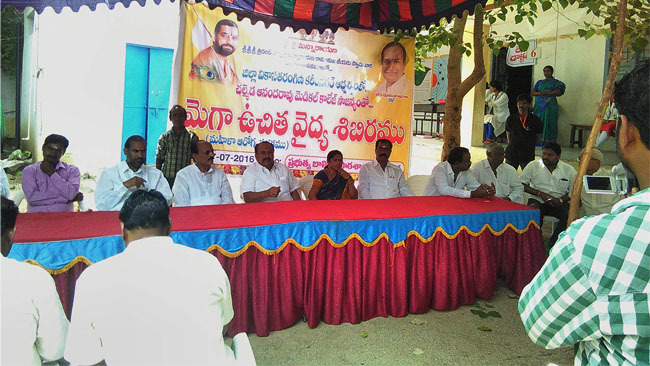 In this camp National Samskar Vikas Cordinator Aruna garu, Nethra Vidhyalayam corespondent Sirisha garu, Raju garu, Vijaya garu, Vizianagaram president Sathyanarayana garu, Yuva Vikas Cordinator Padhbhanabham garu, Cherukuri Sridhar garu participated in the camp.